The first in-depth biography of one of the most talented and infamous legends to play in the National Football League - the life and times of pro football's first bad boy, famed Oakland Raiders quarterback Ken Stabler.Ken "The Snake" Stabler was the embodiment of the original Men in Black - the freewheeling, hard-hitting Oakland Raiders. The league's first swashbuckling pass thrower, the mythical southpaw Southerner famous for come-from-behind drives late in the game, Stabler led the Raiders to their first Super Bowl championship in 1977. In an era dominated by gentleman quarterbacks like Roger Staubach and Bob Griese, this 1974 NFL MVP, four-time Pro-bowler, and Super Bowl champion was an iconoclast who partied as hard as he played and lived life unapologetically on his own - not the NFL's - terms. Michael Freeman, professional photographer and author, with more than 100 book titles to his credit, was born in England in 1945, took a Masters in geography at Brasenose College, Oxford University, and then worked in advertising in London for six years. He made the break from there in 1971 to travel up the Amazon with two secondhand cameras, and when Time-Life used many of the pictures extensively in the Amazon volume of their World's Wild Places series, including the cover, they encouraged him to begin a full-time photographic career. 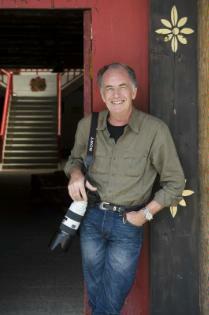 Since then, working for editorial clients that include all the world's major magazines, and notably the Smithsonian Magazine (with which he has had a 30-year association, shooting more than 40 stories) , Freeman's reputation has resulted in more than 100 books published. Of these, he is author as well as photographer, and they include more than 40 books on the practice of photography - for this photographic educational work he was awarded the Prix Louis Philippe Clerc by the French Ministry of Culture. He is also responsible for the distance-learning courses on photography at the UK's Open College of the Arts. Freeman's books on photography have been translated into fifteen languages, and are available on other Amazon international sites.